I finished up my earring and pendant set using metal washers - yay! 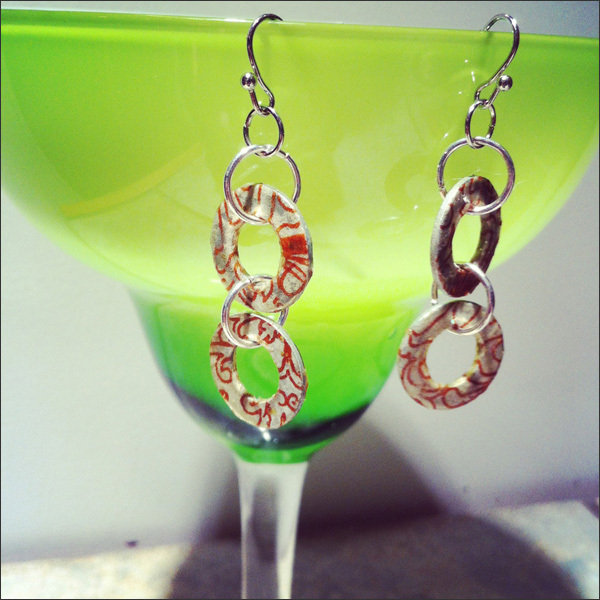 Here are the earrings - I used jump rings to connect two metal washers. Both sides are decoupaged with scrap paper. I then added 2 coats of wood varnish. Here's the set... 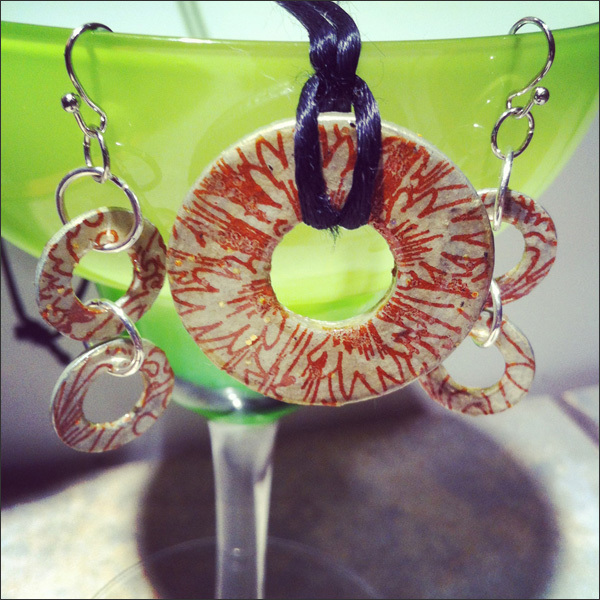 I'm going to keep working with wine cork, scrap wood and metal washers. Why not! I've been lucking out lately at the thrift store with cheap items for my place. Found this mirror for $2.99. I grabbed it and did a quick update to it. Here it is on my 'wall of kewlness'. I added some black paint to the top and sides. 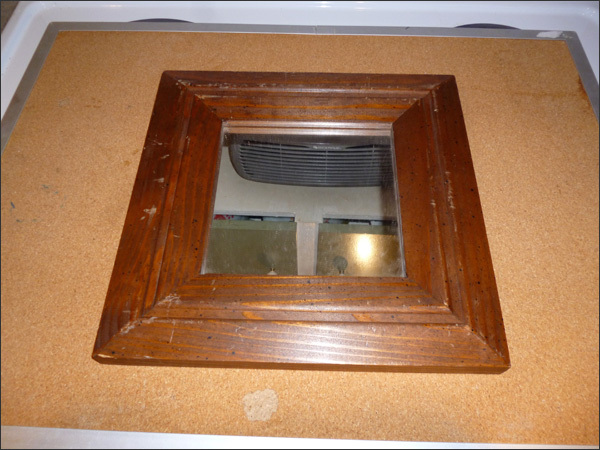 The sides are solid black but I rubbed the top of the frame so it darkened the finish and brought out the grain. After that I added a coat of wood varnish. I actually sanded the varnish a bit once it was dry. The wood varnish can end up looking pretty darn glossy. Not my thing but I'm super happy with my mirror update! 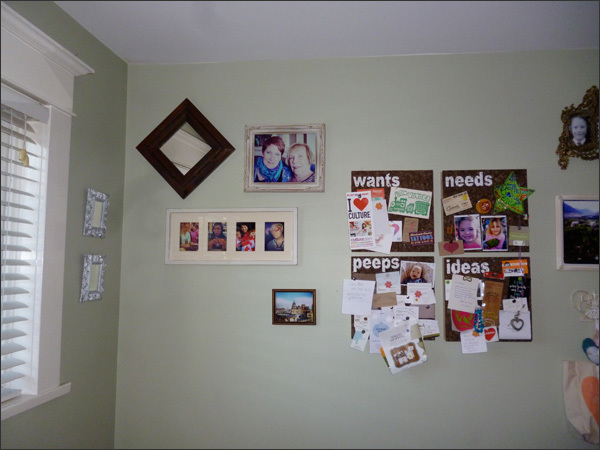 I love the mix of pieces I have on my wall... 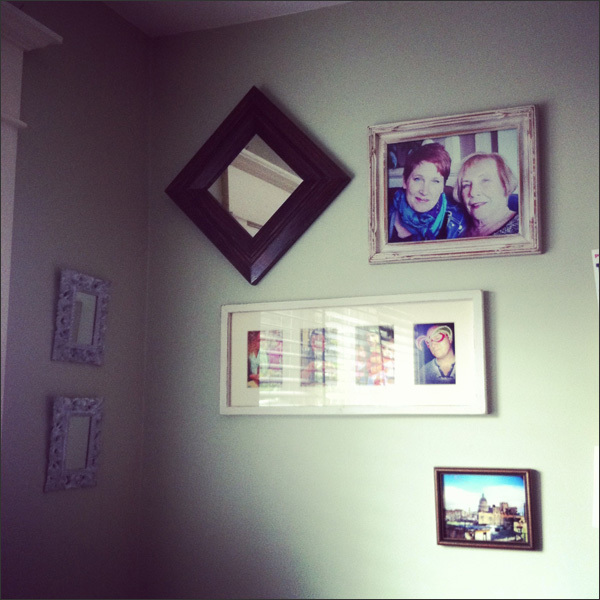 Photos, mirror, updated frames, cork. That whole 'eclectic' thing is definitely my gig.